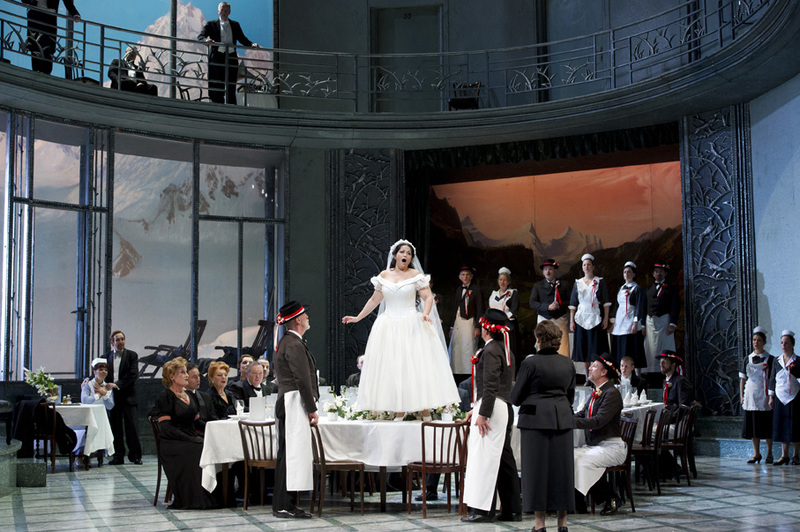 Bellini’s La Sonnambula, like Donizetti’s Linda di Chamounix was regarded in nineteenth century Italy as a classical example of the pastoral genre, and oddly enough the heroine and her mother in these performances of Sonnambula feature the same singers as Covent Garden’s concert performance of Linda di Chamounix two years ago. Eglise Gutiérrez was the sleepwalking Amina, and Elizabeth Sikora sang beautifully as her mother Teresa. Ms Gutiérrez produced some lovely soft notes in this technically demanding role, and after a nervous start she warmed up during the evening and her ‘mad scene’ was superbly sung. This is after the second sleepwalking episode, when her beloved Elvino has rejected her and now intends to marry his former lover Lisa, thinking Amina has been unfaithful. The reverse is the case and it is Lisa who has paid court to the Count, but truth will out in the end and the excitable young lovers are reunited. Spanish tenor Celso Albelo was terrific as Elvino, being on top form from beginning to end, and giving serious meaning to the term bel canto. And with Michele Pertusi singing superbly as Count Rodolfo, a role he has performed in many major opera houses, including the Met’s live relay in March 2009, this was a wonderful cast. Pertusi looked very much the part with his wonderful stage presence, and Elena Xanthoudakis was a wittily assertive Lisa. Her voice had a wonderful purity in the Proms this past summer as William Tell’s son Jemmy, and came over powerfully here as the hostess of the inn. Korean bass Jihoon Kim sang well as her new admirer, whose handsome smugness well deserved the shoe she threw at him, and I only wish it had gone through the air rather than along the floor. 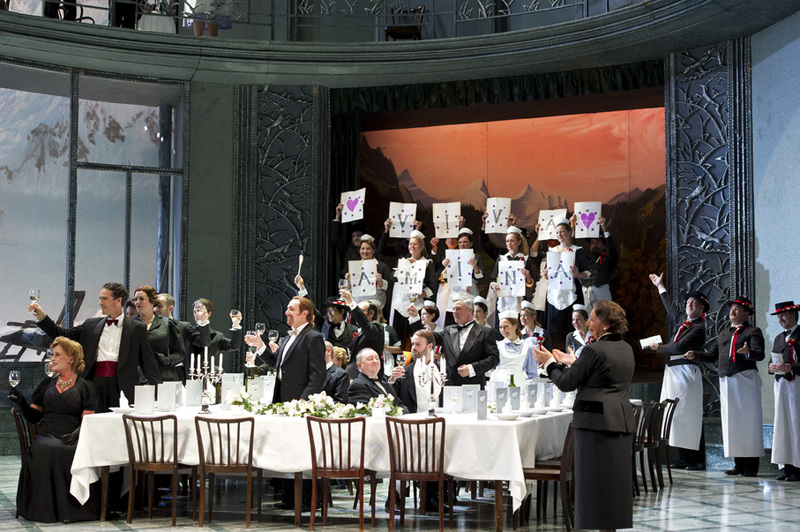 Sudden fits of temper are a useful feature of this production by Marco Arturo Marelli, and I loved the chair being thrown through the window by the furious Elvino. 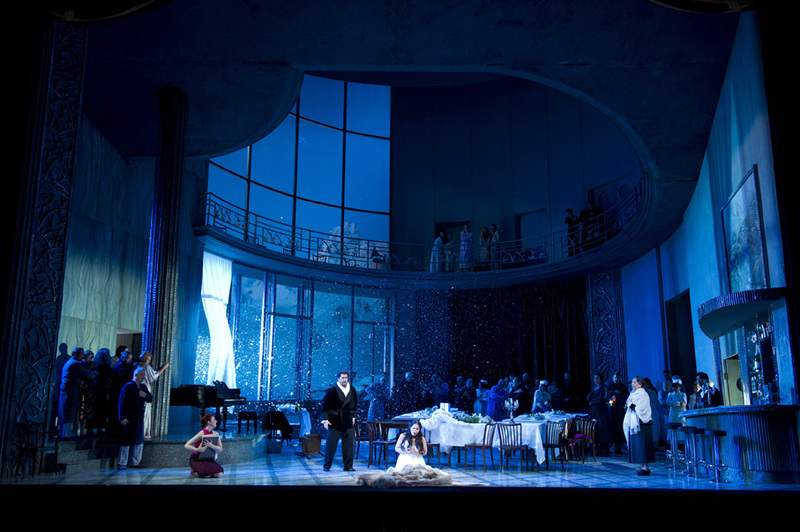 Glass shattered and the snow came in, but the warmth of Bellini’s score was well captured by Daniel Oren in the orchestra pit, and this revival, nine years after the production’s first performances is very welcome indeed. Performances continue until November 18 — for details click here — and there is a BBC Radio 3 broadcast on Saturday, 19 November at 6pm.